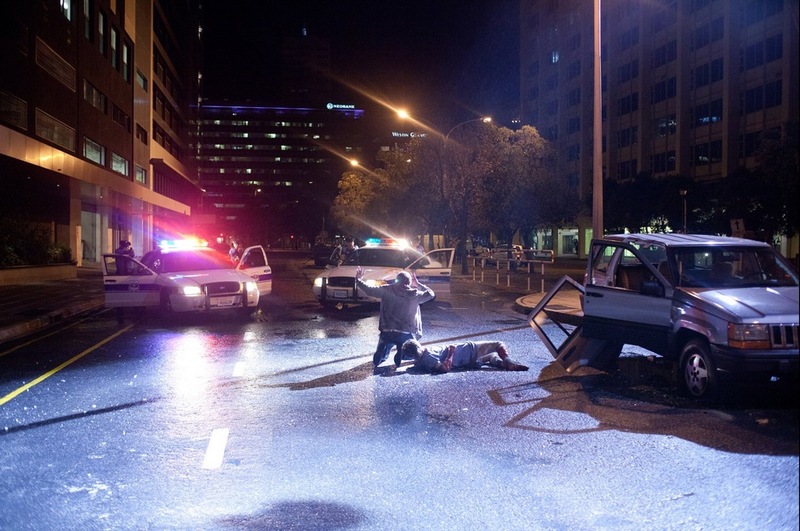 When is a found footage film not a found footage film? When de makers mysteriously bail on de concept two turds of de way thru de movie. 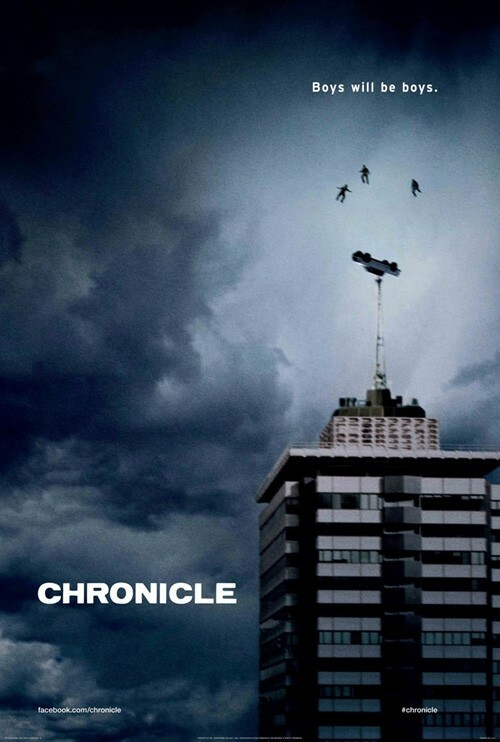 Chronicle has distinktion of being de first (mostly) found footage superhero movie. And dat about all dat make it distinkt. It otherwise pretty standard fare. Hey, it be like Peter Parker x 3! Our protagonist, Andrew, be a high school nerd. 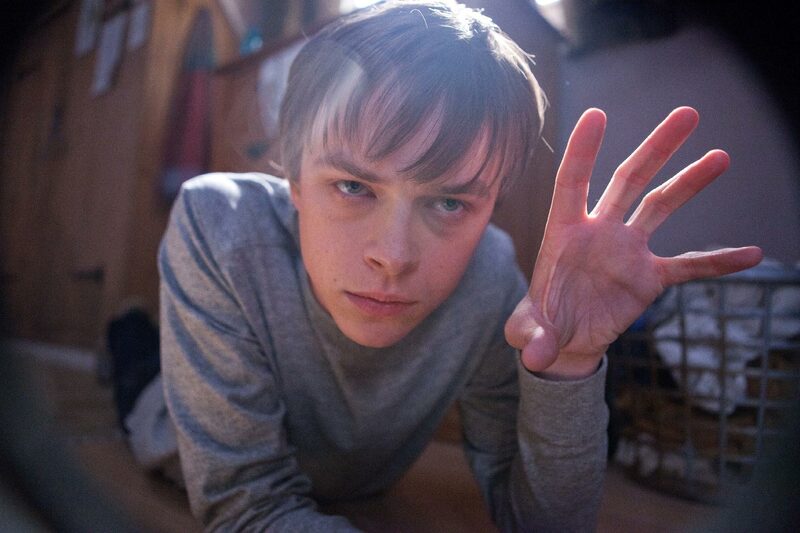 His mother dying, his dad abusive, he bullied at school. It a miserable life for him – but very entertaining for everyone else so he decide to start filming it. He bring his camera everywhere, inkluding to a party he go to wit his cousin and jock friend. After leaving party, trio find weird hole in de ground, investigate, and diskover strange glowy crystal holding squiggly black ting. Having never watched a horror or science fiction movie in deir lives, dey trow caution to de wind and decide to touch it. Crystal changes color and dey get nose bleeds! Andrew uses his power to trow tailgating truck into lake. Others tink dis is NOT cool and, after swimming into water and rescuing driver (instead of just using deir telikentic power to pull him out), dey agree to not hurt other people. 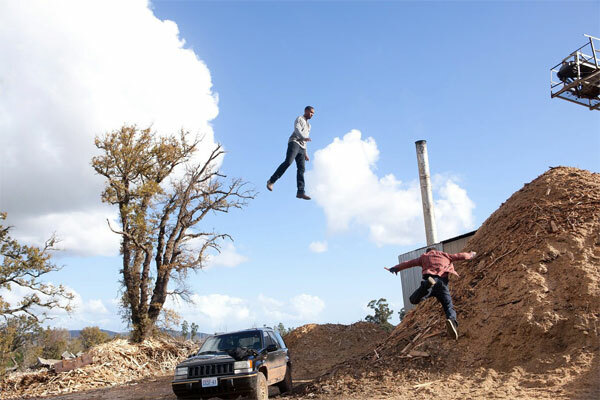 I believe I can fly. I believe I can touch de sky. I believe I can make others die. Dey also teach demselves to fly and go hang out in de clouds – until dey almost get run over by a plane (Mighty crowded up dere!). Dey celebrate by going to house party where Andrew trow up on girl. He humiliated and, next day at skool, he perform instrument-free dental surgery on bully who be picking on him. Upset, Andrew fly away so he can be alone and film himself crying. But jock manage to find him – me not exaktly sure how. Mebbe he go to his favorite special place in de sky? Jock try to cheer him up. Andrew tank him by killing him wit lightning blast (Oh, yeah, he also apparently have lightning blast power). Andrew start tinking he all special and superior, like Grover’s cousin ShaLaunda dat time she got her nails done. He put on fireman suit and rob bullies and gas station to get money for medicine for his dying mother. It be at dis point in movie where direktor decide “Fudge it!” and drop de found footage look. But den seem to want to hedge his bets and inklude unnecessary security cam footage as well. And, finally, seem to realize he being inconsistent so he go back to found footage look for movie’s ending dat involve Andrew vs. cousins vs a lot of parked cars in high-flying aktion. Dis process is repeated until cousin get as tired of dis movie as we do and simply impale Andrew wit a handy spear from a nearby statue. Movie end wit cousin filming himself addressing Andrew as he arrive in Tibet. Why? Does he believe Andrew also have de superpower to watch movies from beyond de grave? Verdikt: Dere come a point in every found footage movie where audience wonder “Seriously! Why de hell dey filming dis?”. It seem dat, late in film, direktor arrive at same conklusion and deeply regret de whole “found footage” ting.